VtWProductions: Show X - Episode 263 - Octale!!!!!!!!!!!!!!!!!!!!!!!!!!! 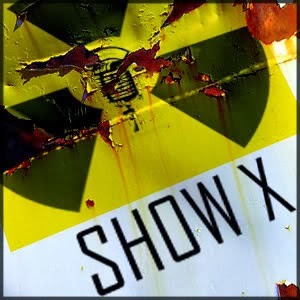 Show X - Episode 263 - Octale!!!!!!!!!!!!!!!!!!!!!!!!!!! It's a throwback show to the beginning of Show X with our special guest Todd, The Octale! Wayne breaks the show right away by asking Todd about United States politics as seen from the outside since he now lives in Norway. This causes a discussion on the presidential race for the first quarter of the show. Then in transitioning, the guys all reccommend that you research your sources and think beyond single internet posts. Todd has really been enjoying playing World of Warships on the PC and Diablo III on the PS4, while getting some time to enjoy a Sausage party on the silver screen. Wayne has secured better interwebs for the forseeable future and is using it to play a lot of Mechwarrior Online with lots of the Gamefest and VtW crew. Ken is celebrating that Kitten Features is finally legal to stay in Scotland longer and work more. He is also ready to enhance the minds of Scotland's youth as he presents his first lecture tomorrow. Todd is looking to get into the tech industry in Norway, but is for the moment making sure people stay fed by delivering groceries to people around Oslo. Ken is still enjoying his WoW experience as he completes some older Wrath raid content now that he is over leveled. He is also looking for a new phone, but doesn't seem to want a new iPhone 7.